I went to my very first concert when I was 10 years old. My father took me to Riverport to see Jackson Browne and Tom Petty & The Heartbreakers. 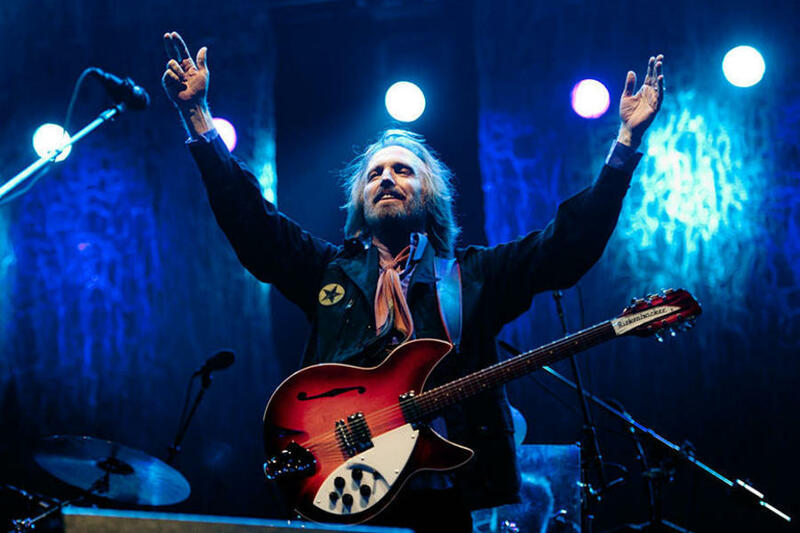 I had spent my whole childhood listening to the greatest hits of Tom Petty on cassette, but it was on that night that I finally got to see him in the flesh. All those songs I had memorized and learned air guitar to were being playing in real life right in front of my eyes. At the age of 10, I didn’t quite understand what made his songs so catchy, his melodies so singable, and his harmonies so tight. I just knew I liked the songs, and I knew how to sing along. But now that I’m a songwriter, I find myself constantly trying to imitate what Tom made look so easy. Whether it’s the crowd favorites like Free Fallin’ and American Girl, or it’s the deep cuts like Accused of Love and Down South, his simple twang and even simpler guitar strums have this way of drawing the listener in to be a part of a bigger story. The man had 50 years to hone in that skill of matching the perfect melody with just the right simple chord progression, and he nailed it. How many times do we sit down with this notion that if we pull out our word clouds, our dictionary, and our thesaurus, that we’re guaranteed to write the next great song? I can’t begin to tell you how many times I’ve sat down overly prepared with this notion that I was on the brink of writing my best song yet. And in those moments, where I felt the most confident in my ability, I would realize that I wasn’t allowing myself to write authentically. I was writing from this place of presupposition that this was going to be a great song, but in reality those songs felt the most unlike myself. Now sure, there are certainly times when we come to a writing session fully prepared and knock a song out of the park. But I think Tom has a point, too. I know that the songs I’ve been most proud of were the ones that just kind of fell in my lap. The songs that my pen couldn’t write fast enough to catch up with the words that were flowing out. And I find that when I try and describe the backstory to those sorts of songs that I, too, find myself fearful of trying to understand the source or the reason. There’s a clip from the same documentary where he describes the process behind writing the song “The Waiting.” For weeks, he’d tool around on the same guitar lick, just waiting for something to come. And sure enough, after waiting for a while, the hard part of putting the pen on paper came around and he wrote one of his most famous songs of his career. In the recent passing of Tom Petty, I find myself going back to his catalogue pretty regularly. And without fail, I see him trusting his gut, and having faith in the spirit to be his most authentic self as a songwriter. And I hope you’ll join me in doing the same in your songwriting practice, too.